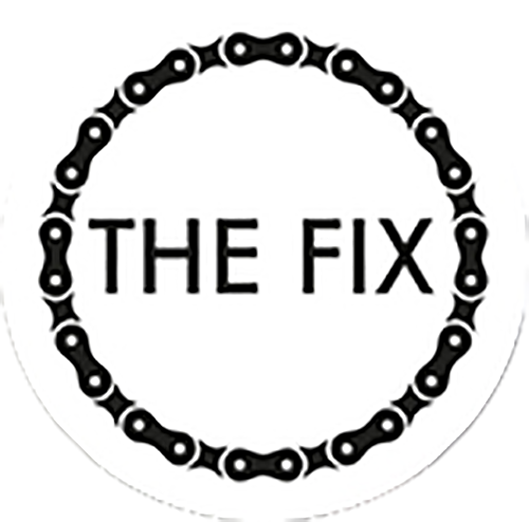 Bristol Bike Project is in its 10th year, The Fix talks to Krysia Williams, Community Co-ordinator to find out more. Thanks! Yes, we’re really proud to be celebrating our 10th year! 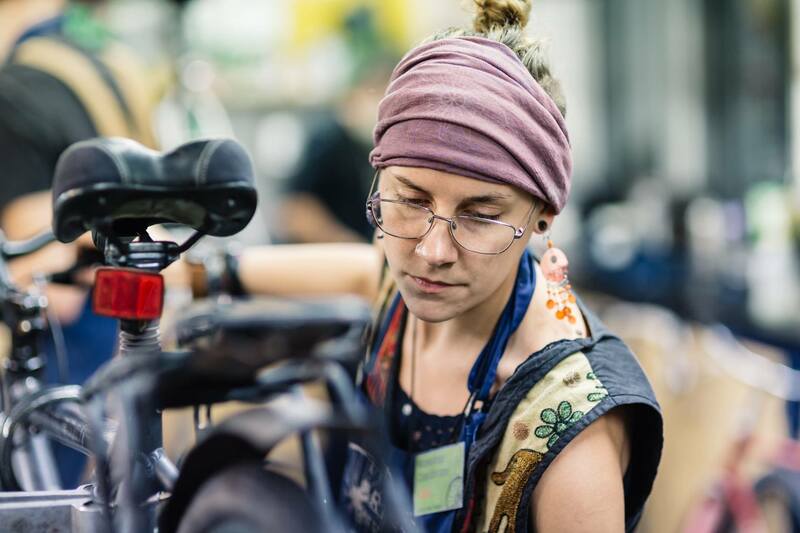 BBP was born when two friends came back from a cycling trip in Norway with the idea to do combine their new-found love of bikes with a desire to do good in their community. Through volunteering with Bristol Refugee Rights (BRR), they’d come to know of the acute need for affordable transport among asylum seekers in Bristol, many of whom were struggling to get about the city to make important appointments. They put up some posters asking for unwanted bicycles, and within days were spannering away and rehoming those bicycles with people from BRR. 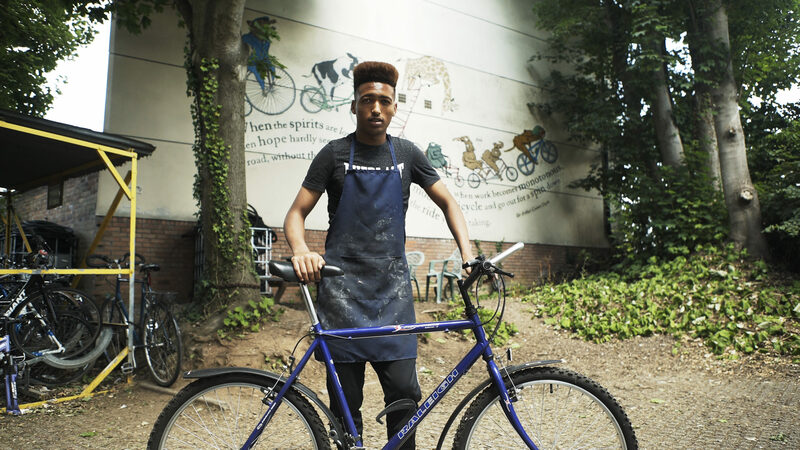 The mound of donated bikes grew as quickly as the number of people knocking on our door needing a bike themselves, and before we knew it we were settling into the vibrant workshop in Hamilton House which we still call home today. Our friend James from Touchpaper Productions recently made a film to tell the story of our 10 year journey. It’s a lovely watch, for anyone interested! We hear you are in the 2019 Lonely Planet guide, what sort of experience are you offering a tourist who turns up with Lonely Planet in their back pocket? We’re a pretty big community now… There’s around 16 employees, mostly part-time, including our shop mechanics, coordinators for our community programmes, and office staff who keep busy making sure everything is rolling smoothly behind the scenes. 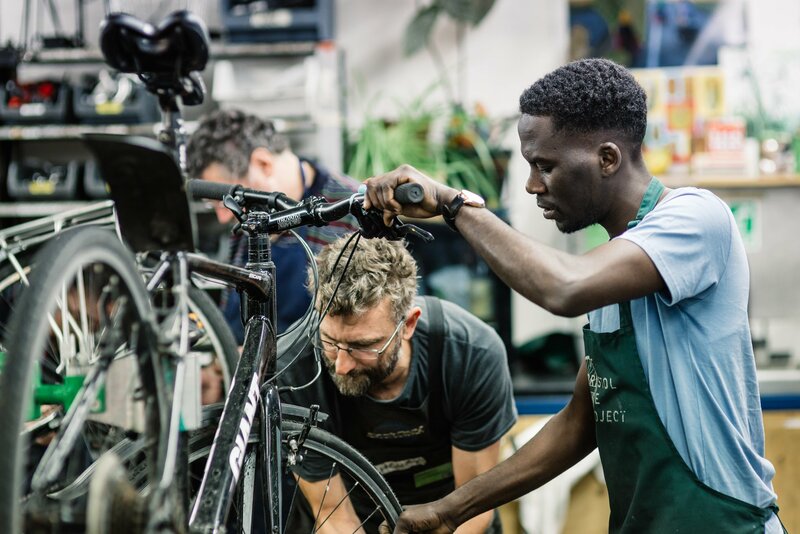 We also have around 150 volunteers who give a huge amount of time and energy to get bicycles ready for our community programmes. Most of our volunteers are keen to get their hands dirty in the workshop, but we also have some fantastic volunteer support in the office, helping the business of the Co-op tick over. Oh – and all our directors are volunteers as well! Where do staff typically come from? Do you take them on as trained mechanics or are they learning on the job? 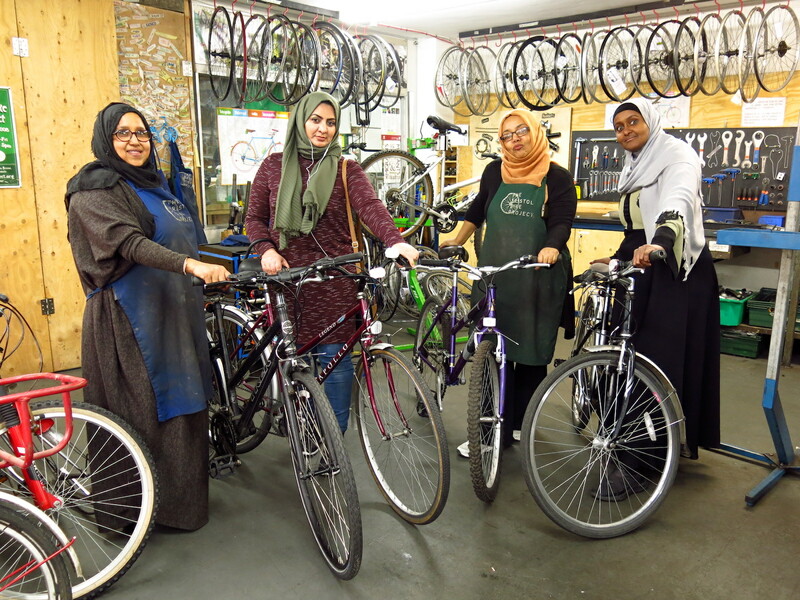 Yes, a number of our volunteers have started out learning here, and have gone on to work in great independent bike shops in Bristol like Jakes Bikes, Bike Workshop, Roll Quick and Bool’s Bicycles. Some also get jobs with us, or learn elsewhere and then come to work for us. 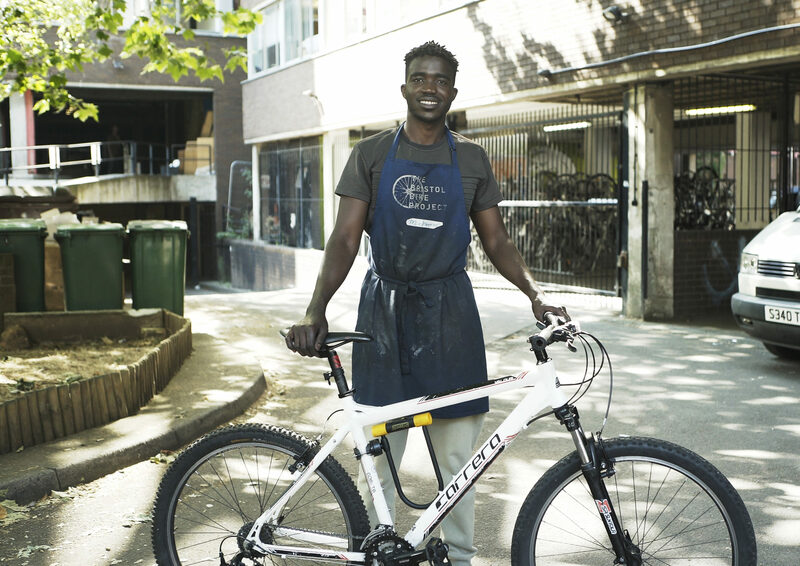 I think being mechanic here is quite different from other bike shops – you’re working not to make a profit for the business, but to support our community programmes which help people with less money get out on two wheels as well. We’re also a Co-op, so everyone – yes, even the mechanics! – get stuck in with the wider business of the Project, like designing our community programmes, training volunteers and providing general support to the wider BBP community. How is BBP funded, is it possible to generate any surplus with a model like this? What happens to any profits? Yes, we’re really sad to be leaving our lovely home at Hamilton House, but the time has come to move onto pastures new. We are looking for suitable spaces anywhere in Bristol – somewhere accessible, reasonably central and affordable. To give you an idea on size, we currently have about 1500 sq ft inside for our shop and community workshop, and a further 900 sq ft externally for bike storage. We’d love to find a bigger space if we can, but we’re flexible and willing to be creative! We don’t have a clear idea of when our landlords want us out, but it could be as soon as February 2019 so we are looking for somewhere as soon as possible to ensure a smooth transition. We know your efforts have been recognised with a few awards over the years but we understand that 2018 landed a biggie with the National Community Group Award – tell us more.